Malawian President Peter Mutharika has shocked the nation once again after kicking his press secretary, Gerald Viola, out of the State House and redeploying him elsewhere. Viola becomes the third spokesperson fired from the Malawian presidency since Mutharika's rise to office in 2014. According to Nyasa Times, the decision to fire Viola was taken up by the president a while back, after he allegedly disclosed to Times Television that he (Mutharika) planned to purchase a jet as soon as the country's economy recovered. 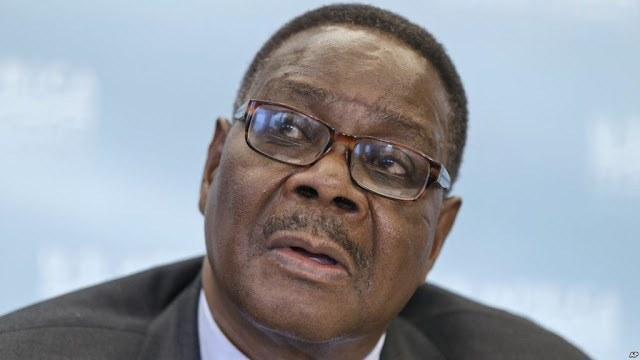 Viola reportedly said this last year, but Mutharika vehemently dismissed the claims, saying that plans to procure a presidential jet were never on the cards. Viola has since confirmed that he has been posted to the ministry of information, as technical advisor. He took to his Facebook page to give feedback on his redeployment and to thank Mutharika for the opportunities afforded to him. Several names have since been penned as replacements for Viola, with Director of Information, Bright Molande, leading the pack.